Help us honour Olive Lilian Creswell HAYNES's service by contributing information, stories, and images so that they can be preserved for future generations. 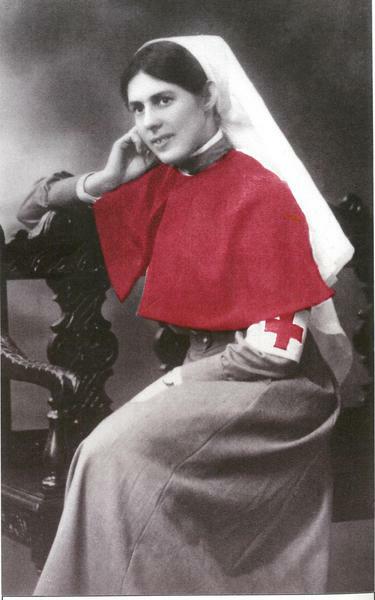 Sister Olive Haynes has recently entered the spotlight as a result of the dramatisation of her life in the 2014 ABC TV series "ANZAC Girls", which was written using We Were There Too, a collection of Olive's letters and extracts from her diary, edited by her daughter Margaret Young. 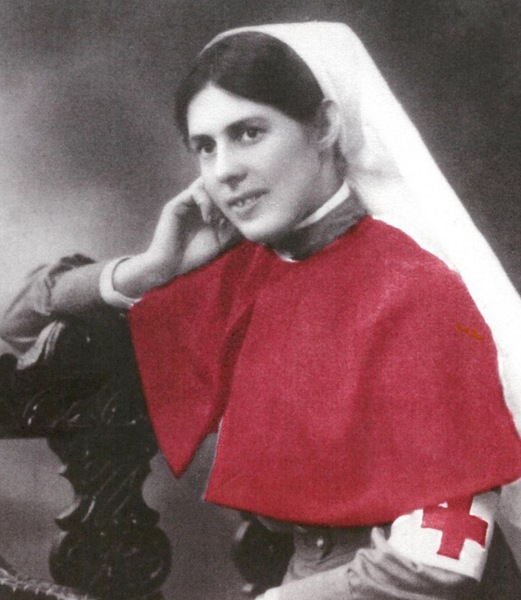 Young's book gives us an invaluable insight into the experiences of an Australian Army nurse whose service saw her minister to casualties from some of Australia's most significant campaigns in the Great War. 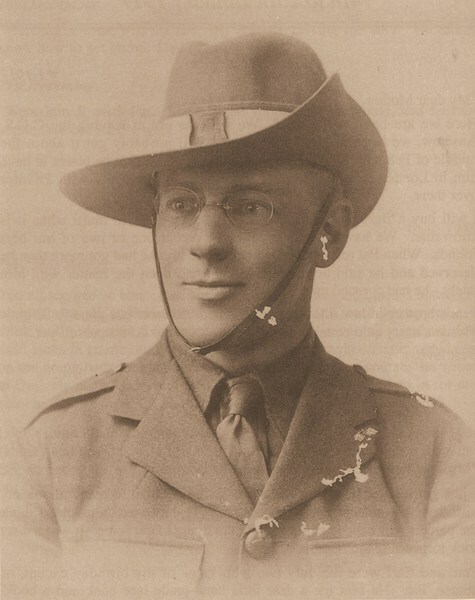 Born in St Peters to the Reverend James Crofts Haynes and Emma Creswell, Olive was educated at Tormore House before beginning nursing training at the Adelaide Hospital in 1909. On graduation in 1913 she worked as a charge nurse before taking some time to travel and work as a private nurse. When war was declared in 1914, Olive enlisted, embarking on the SS “Kyarra,” which arrived in Alexandria in January 1915. She was assigned to the No. 2 Australian General Hospital (2AGH) (/explore/units/53), which had taken over the Mena House Hotel, where she worked with casualties from the Gallipoli campaign. She moved to Ghezirah, “a beautiful place,” at the beginning of May, and then oscillated between Ghezirah and Alexandria as the 2AGH responded to the casualties of the Mediterranean Expeditionary Force. 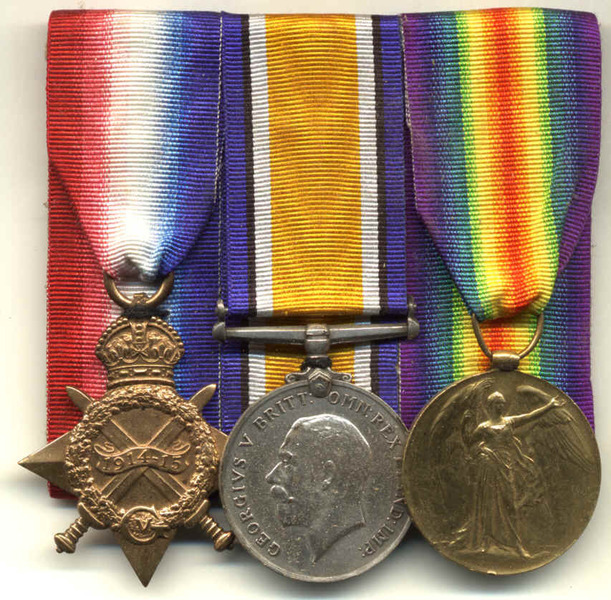 After the August Offensive, Olive transferred to the No.2 Australian Stationary Hospital (/explore/units/165) and 2AGH at Lemnos, where she served until January 1916. After a short stint with 2AGH at Ghezireh, Olive was transferred to the No. 3 Auxiliary Hospital at Heliopolis. Both Olive and Pat returned to Melbourne where, along with raising seven children, Olive demonstrated an ongoing commitment to social welfare. This included offering meals and shelter, and providing free medical assistance and, in the 1940s, Olive, helped to establish a school for children with intellectual disabilities. Olive passed away at the age of ninety with a record of military and social service of which anyone could be proud. 1. Olive Haynes, “Excerpts from Diaries 14th to 18th May 1915,” in Margaret Young (ed. ), We Are Here Too: the Diaries and Letters of Sister Olive L. C. Haynes November 1914 to February 1918, second edition, Adelaide: Australian Down Syndrome Association Inc., 1993, p42. 2. Haynes, “Excerpts from Diary, 16th – 18th June,” in Young (ed. ), We Are Here Too, p149. 3. Olive Haynes, “Excerpts from Diary, 16th – 18th June,” in Young (ed. ), We Are Here Too, p149. 4. Olive Haynes, “Letter dated 24.10.1916," in Young (ed. ), We Are Here Too, p168. 5. Olive Haynes, “Letter dated 30.12.1916," in Young (ed. ), We Are Here Too, p176. 6. National Archives of Australia: B2455, Haynes O L C, Sister. Margaret Young (ed. ), We Are Here Too: the Diaries and Letters of Sister Olive L. C. Haynes November 1914 to February 1918, second edition, Adelaide: Australian Down Syndrome Association Inc., 1993.